It’s amazing how much easier it is to work from home, to cope with personal finances or just have an internet access and study area when you have a neatly organized special space that has been set aside for these activities. You can set up an office almost anywhere in your home. 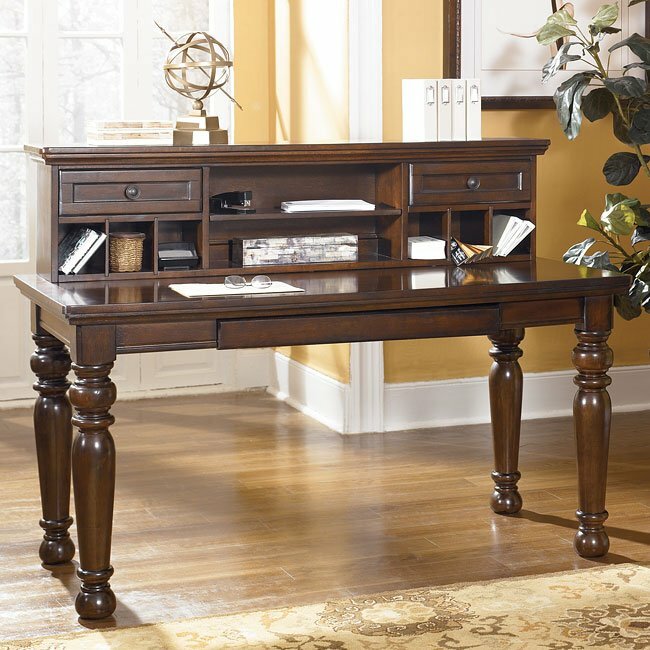 There are writing desks of all styles available at FurniturePick that will fit into the decor of your rooms. For instance, consider Trishelle Home Office Collection by Ashley Furniture that offers metro modern design and dark espresso finish. The collection offers corner writing desk as well. Make sure that you provide the office with adequate lighting and sufficient storage space to allow your home office to grow conveniently with your work records. Browse trough our wide selection of other home office desks, office chairs, bookcases or filing cabinets that will reflect the unique needs and interests of your individual character and will blend in nicely into your room decor. 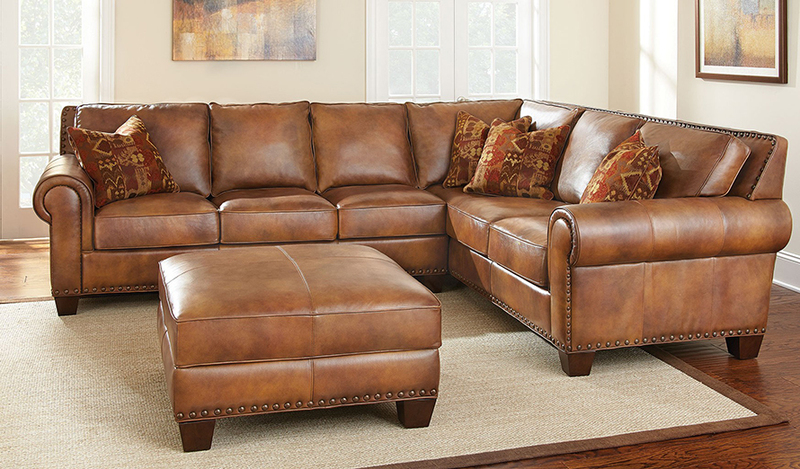 Top 10 Fall Furniture Trends 2012 by Ashley Furniture. Part 4. With a shopping season in full swing, many factors are quietly reshaping our spaces and our priorities at home. Whether it’s the move toward larger shared areas and blended places, new ways of looking at work and play, a desire for less clutter, or the need for energy efficiency, Ashley Furniture and FurniturePick.com announce the hottest trends in furniture that reflect our ever-changing lifestyles. #7. Writing Desks – Laptop computers and wireless networks are changing our concept of a home office. A single “official” work area is being joined, or replaced, by multiple workstations that can go anywhere. For Fall 2012, it’s all about compact workstations, with a simple table in a bedroom, hallway or behind the sofa. Look for warmer styles that blend with other furniture pieces. #8. Bigger Coffee Tables – Many people opt to eat dinner on the sofa rather than at the kitchen table, explaining the trend to bigger and better coffee tables. Harking back to the 1960s conversation pit, a larger coffee table is a magnet for gathering. 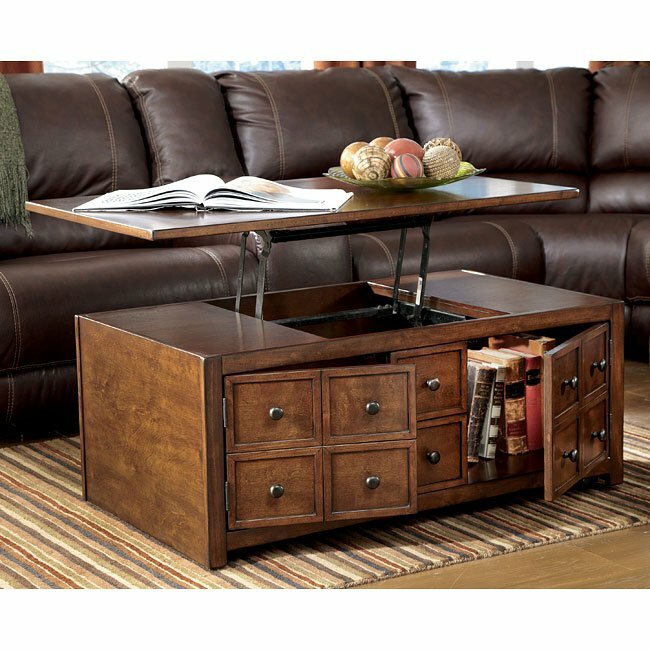 For Fall 2012, look for pop-up coffee tables for eating or working in front of the TV, storage drawers or shelves and deeper sizes scaled for sectionals.